Q: How can I add a separator to the vertical menu using the dynamic functions? It seems as though the only way to get a separator into the menu is by defining itbefore hand, but the website I'm building will require me to reload themenus dinamically, and I'm losing the ability to put separators on it. 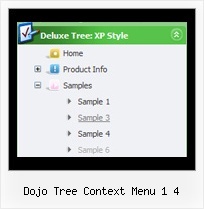 Dynamic Tree Menu Template Dynamic Tree Menu Dhtml Vertical Expand Menu. De Luxe Menu. The most powerful DHTML Menu on the Web!